OnePlus took the wraps off the OnePlus 6 in London. Hours after the device was launched in London, its all set to greet us Indians in Mumbai. This immediate release reinstates OnePlus' commitment to the Indian fan-base. The event will start at 3:00 pm and apart from the Indian prices of the new OnePlus 6 we will also get the Avengers Infinity War special edition OnePlus 6. Unlike the original, the Avengers Infinity War Edition will feature a textured back. Now that we know it is all glass we're dealing with, it's certain that the special edition will be another textured variant made up of glass. The company clearly expressed their inhibitions with using ceramic as a back panel material. Coming to the standard options with the OnePlus 6, the device will come with three storage variants. The 6GB RAM 64GB internal storage, the 8GB RAM with 128GB ROM and the top variant with 256 GB of internal storage and 8GB of RAM. The company has already put out offers for the device and even conducted a pre-booking sale from May 13 to May 16 where the buyer could avail a discount of Rs 1,000. The first buyers can avail a discount of Rs 2000 by paying for the device with an SBI credit or debit card. Buyers can also avail a No Cost EMI for up to 3 months. OnePlus 6 buyers will also get a 12-month Accidental Damage Insurance by Servify. To watch the India event live, the user can go OnePlus India's official Youtube channel or stream it here. The OnePlus 6 comes with an all-glass design protected by Corning Gorilla Glass 5 and "daily water resistance". The front panel is a 6.28-inch full Optic AMOLED display with a 19:9 aspect ratio, offering an impressive 84 per cent screen to body ratio. The OnePlus 6 comes equipped with a Qualcomm Snapdragon 845 processor with Adreno 630 GPU. 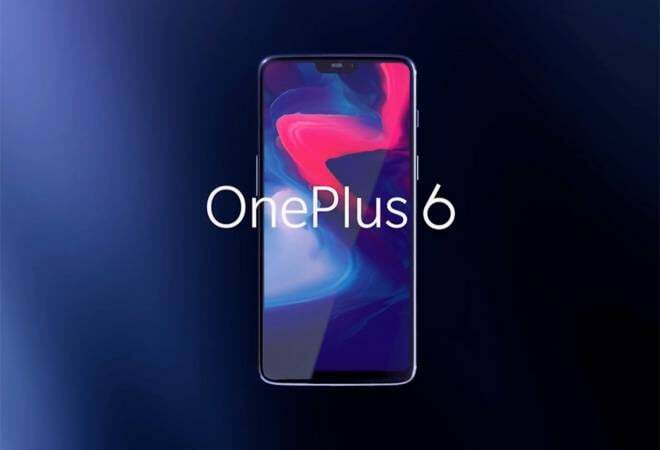 For optics, OnePlus has given its flagship a dual camera setup at the rear with a 16-megapixel camera sporting an f/1.7 aperture and a 20-megapixel camera which also has f/1.7 aperture. OnePlus claims that the 16-megapixel main camera has a 19 per cent larger sensor with Optical Image stabilization and Electronic Image stabilization for better low-light photography and stable videos. OnePlus will bring the bokeh mode to the front camera with a software update. The phone supports 4K video in up to 60 frames per second and "super-slow-motion" mode for capturing high-definition video at up to 480 fps. OnePlus 6 is 7.75mm thick and weighs in at 177 grams. Intialy the device will be available in two colours - mirror black, midnight black and later OnePlus will launch a limited edition silk white colour. For connectivity, the device has a dual SIM port with support for two nano SIM cards on LTE network. Other connectivity options include NFC, Type C, audio support via USB and Bluetooth 5.0. The OnePlus 6 also has a fingerprint scanner at the rear which is in a rectangular shape this time. OnePlus also conducted a blind-test for their flagship's camera by pitching it against iPhone X, Pixel and Samsung Galaxy S9.